It is widely accepted that CSR initiatives such as cause-related marketing, philanthropy and sponsorship can strengthen an organisation’s CSR image. But few studies have clearly defined which CSR activities are most beneficial for sponsoring organisations. 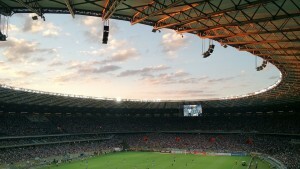 Sport has long been known to drive strong engagement and passion among spectators, attracting attention for causes and organizations associated with the sport. So, marketing managers often choose sport sponsorship to enhance their organisation’s profile and image. But until now, no real evidence pinpointed which sports club or association (that is grassroots or national) is most conducive to enhancing their image as a good corporate citizen. Thanks to the work of Professor Plewa, Professor Quester and colleagues, now the answer is clear. The South Australian study, conducted among 400 respondents, shows that marketing and sponsorship managers can confidently use sport sponsorship to enhance their organisation’s CSR image. The best way to do that is to sponsor a club that is close to, or actively engaged in, its local community. Indeed, sponsoring a grassroots club that is also actively engaged in its community, for example through the support of community causes, led to the highest CSR image for the sponsor. This was followed by similar results for a grassroots club without community engagement and a national club with engagement. Sponsoring a national club not engaged in community initiatives recorded the lowest CSR image score for the sponsor. Given their visibility and media coverage, many organisations prefer to sponsor national clubs. Fortunately, the results show that a positive CSR image can still be achieved by doing so, as long as the national clubs they sponsor proactively engage in the community. So, the message is clear for sponsorship and marketing managers of sponsoring organisations seeking to build a strong CSR image: create a sponsorship portfolio balanced between national and grassroots clubs, focusing on those national clubs embracing community initiatives. also confirms grassroots clubs’ potential to build goodwill toward the sponsor, and encourages national clubs to actively engage in community initiatives to offer sponsors goodwill benefits through sponsorship. That means, the results show we can achieve a win-win-win situation. 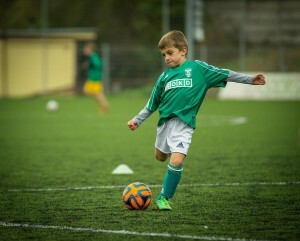 They show that sponsoring sports clubs that actively engage in the community deliver a positive impact in three ways: clubs benefit from corporate sponsorship, sponsors gain through an enhanced CSR image and community organizations secure valuable support from the club. That’s a great outcome. This entry was posted in News, Research and tagged Carolin Plewa, cause-related marketing, corporate social responsibility, CSR, Pascale Quester, philanthropy, sponsorship, sport clubs. Bookmark the permalink.